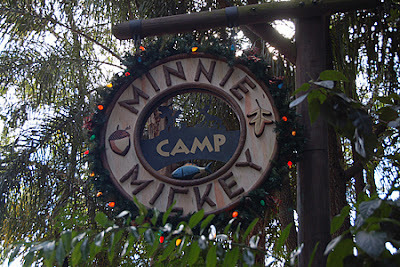 Disney Confirms a Closure Date for Camp Minnie-Mickey, Making Room for Avatarland. The last days of Camp Minnie-Mickey are upon us and by default so are the last days of the popular so "Festival of the Lion King" All to make room for the new addition of Avatarland to the Animal Kingdom park. You last day to visit will be January 5th- Disney World has announced that the closing date for this land will be January 6th, 2014. While 'Festival of the Lion King' will eventually move to it's new theater home, it will be closed for several months while construction finishes. Camp Minnie-Mickey will never be see again, Not for the much desired "Beastly Kingdom" which fans have been clamoring for since they learned about it. It's closing to make way for the seven-foot-tall-blue-cat-people from James Cameron's "Avatar" movie. Avatarland is Disney's Newest "Big Budget" expansion, hoping to draw in millions even though no one is sure if Cameron plans to release the next two movies on their proposed dates. Like it or Not- Avatarland is coming.